Frustrating AI and clunky gameplay ahead. 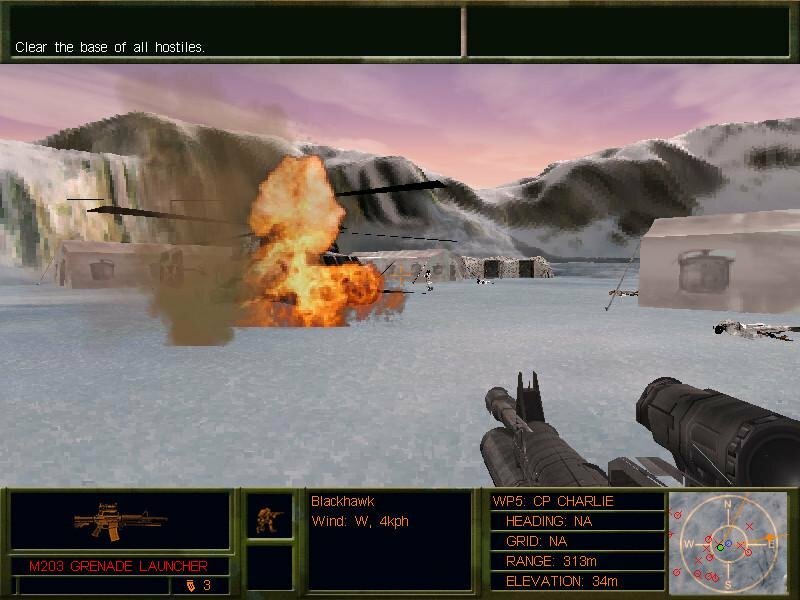 Delta Force 2 is a direct sequel but doesn’t always feel like one. In terms of new content and gameplay, there isn’t a whole lot here setting it apart from the first game. 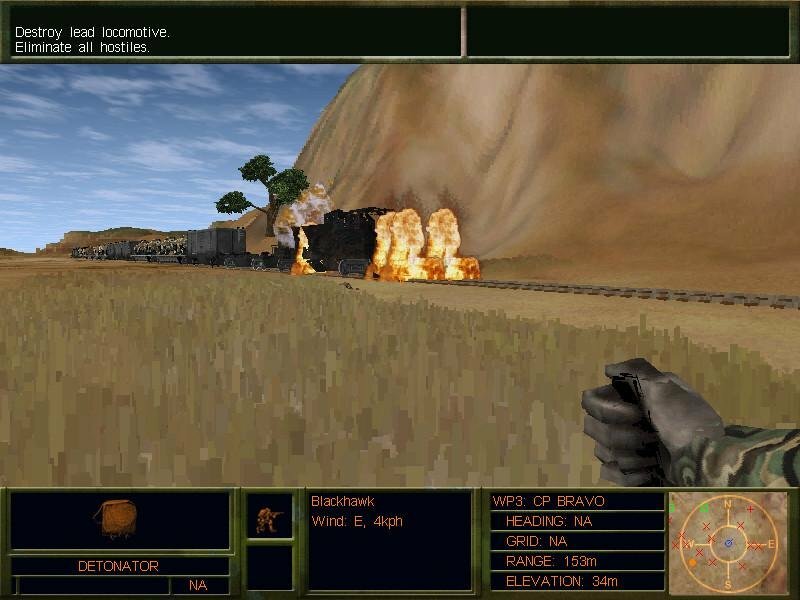 Sure, we do get a somewhat improved interface, some new enemy vehicles (tanks, choppers, freight trains, etc. ), one or two extra weapons, a few gadgets and a negligible command system, but it’s essentially the same grinding experience. The scenery is quite breathtaking at times. 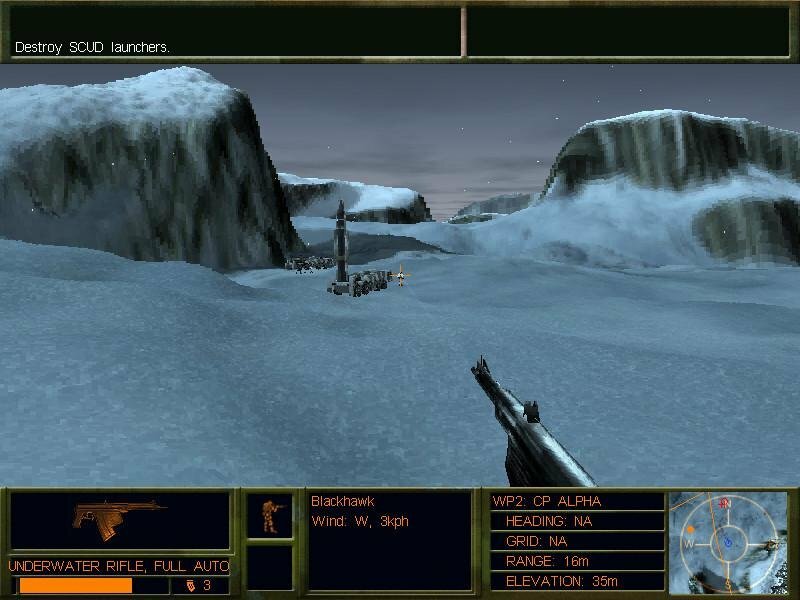 The singleplayer campaigns and 19 quick-missions are pretty consistent. 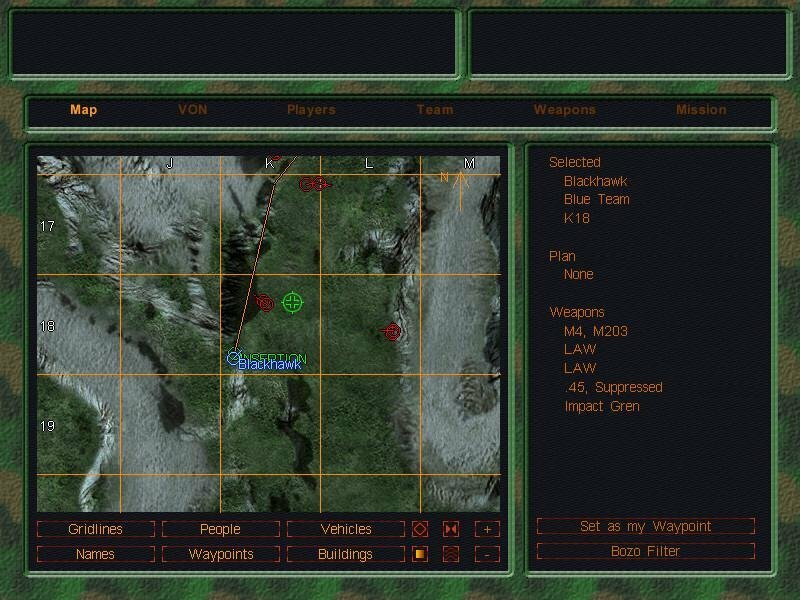 The campaign map is divided into two separate plot-driven operations. 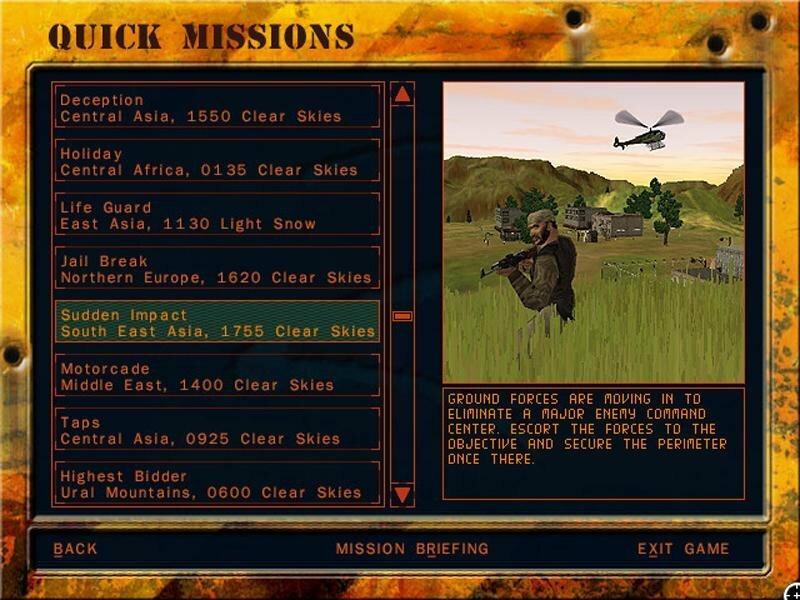 These campaign missions are still very linear, with the completion of one operation having no effect on how the following one is played. Locations are at least varied, ranging from sub-Saharan Africa to the arctic wastes or Russian steppes. The levels are just as limitless as those from the first game, but in that vastness is a great deal of nothingness as well, with barely a base or village peppered here and there. Suffice to say you’ll be running around a lot more than shooting bad guys. 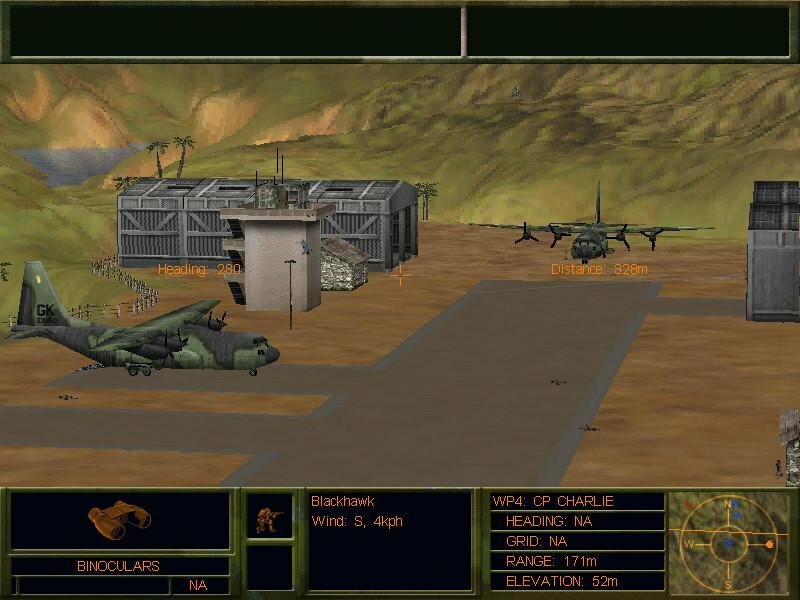 As part of a small team, each mission tasks you with performing operations behind enemy lines. You’ll always be dropped some distance away from your target, have to evade or kill patrols, and finally accomplish your main objective. And while you’re formally part of a team, in reality they merely act as cannon fodder. 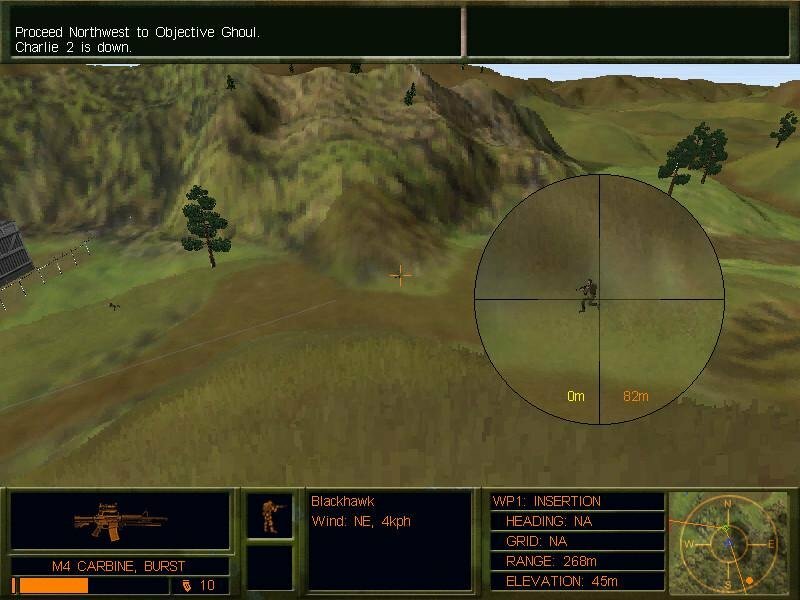 Most of the time they sit atop high terrain to provide sniper cover, and the few times you do assault enemy locations with them makes it clear why they tend to stay out of your way – they’re AI is horribly basic. You do have the luxury of a broader command menu, but you’ll rarely use it. 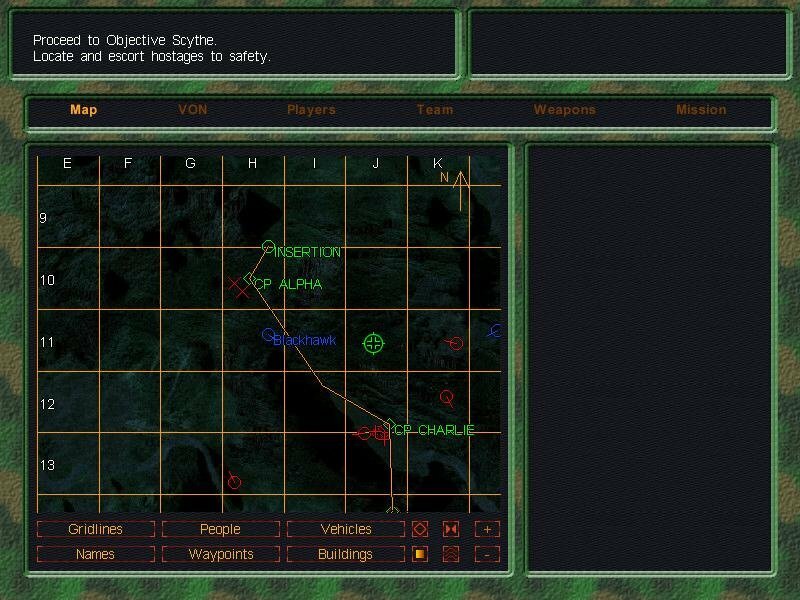 In all, Delta Force 2 is still a solo game. The game difficulty has been noticeably beefed up for some reason. 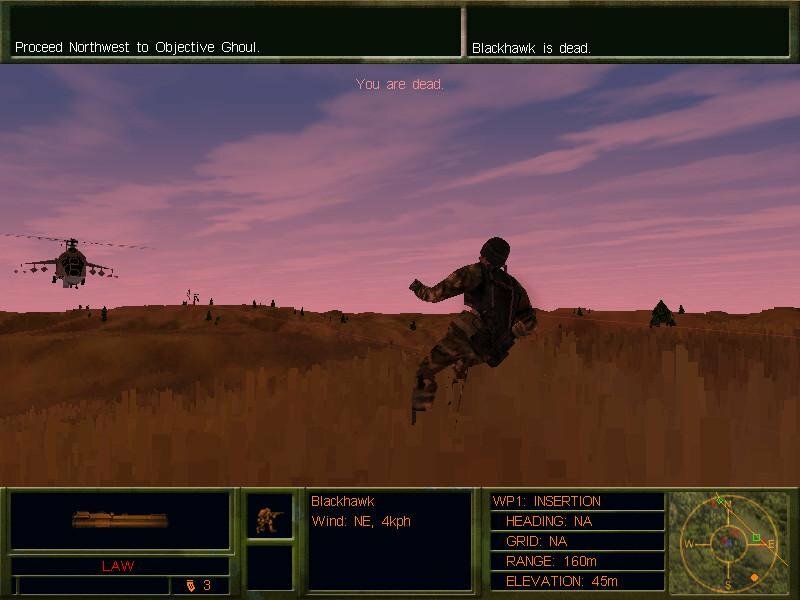 No longer do you have the optional health bar which incrementally drops as you take damage, or scattered ammo and health pick-ups. This, combined with more accurate AI and no savegame option, makes Delta Force 2 a helluva lot more frustrating than it has to be. 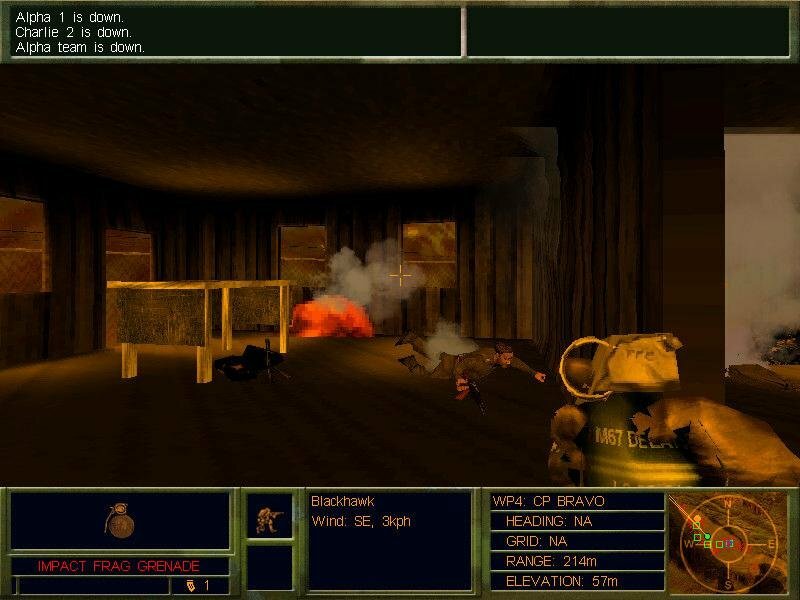 The AI, while inept as ever, can see you through walls and blast you the minute you turn around a corner, a problem which occurs with annoying frequency thanks to the game’s new uninspired focus on close-quarter combat. 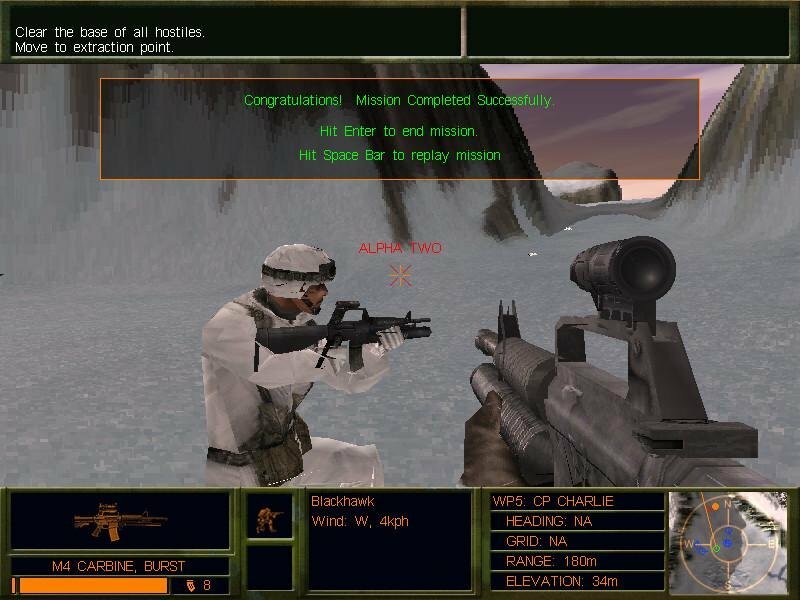 One burst of AK fire equals instant death and immediate mission failure, and you’ll be restarting missions quite often as a result. Some C4 can easily halt this train. The ingame tactical map went through a makeover and is now able to track all enemy movement anywhere around you (previously it could only track parts of the opposition). 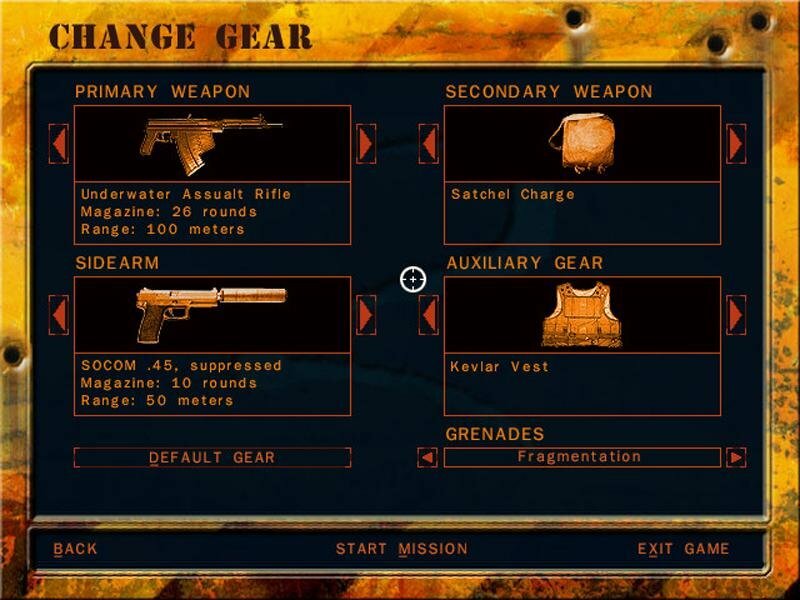 Weapons come back virtually the same, featuring the exact armory of about eight primary weapons, three sidearms and several explosive devices. The ubiquitous M4 went through a little refurbishing (it now comes with either a shotgun or M203 attachment). The most pitifully useless and laughably inept weapon is the new underwater rifle. As the name hints, it can fire from underwater, but does uselessly little damage. Bad controls and annoyances slowly gnaw at the game, but it’s the poorly optimized engine that seals the deal. The game supports 3D Hardware Acceleration this time around, noticeably improving framerate as a result, but it also comes packing a host of visual glitches on each and every video card I’ve tested this on. These visual glitches aren’t fatal, but they shouldn’t be there. Software renders things consistently but also comes with abysmal framerates, even on the lowest resolutions. Crank up the screen to 1024×768 and the game is virtually unplayable. The first Delta Force had the advantage of novelty and was mildly amusing in spite of its issues. 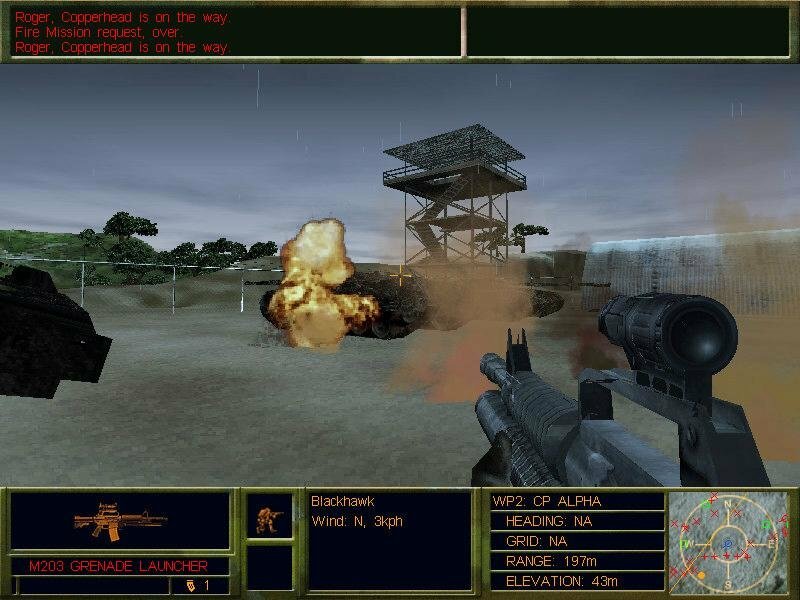 Delta Force 2 amplifies those issues while adding very little new content, and in the end offers very few incentives to go through its grueling campaigns. Better skip this one and go for the third or even first game instead. Wow, every screen shot you have here has some sort of visual glitch. Just goes to show you how rushed out and visually broken these games where. I remember one particular graphics card and driver I managed to get this thing to work on hardware mode with 1024×768 resolution w/ turbo turned off (was sluggish and made the game seem very unoptimized). Someone should release a patch for this game. On other chipsets in hardware mode the buildings will show through the terrain even though they’re on the other side. Also the water will make it very nauseating because it will show up through the whole terrain rather than in the areas it’s supposed to. In software mode regardless of hardware it will make it look like the guy who was modelling the stuff did a lazy job because some of the polygons are missing. Also they did this weird optimization where buildings and NPCs would disappear when you are aiming at them when there is a lot of stuff on screen at one time. Other than that I enjoyed the game. Bring on the past. 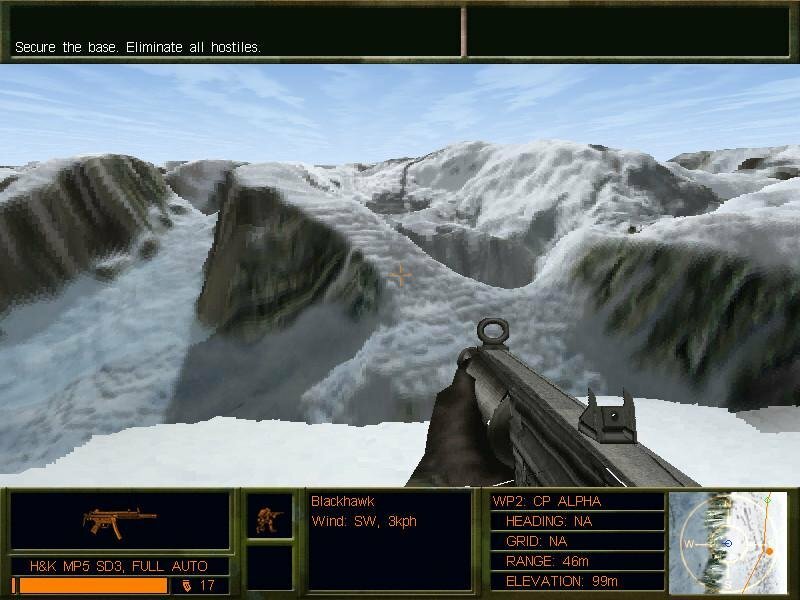 DF were and still are solid rocking FPS Great memories of scoping out the enemies on cliff tops and similar. Modern games are taken too seriously. How can we find the product key ? Nevermind I just found it. 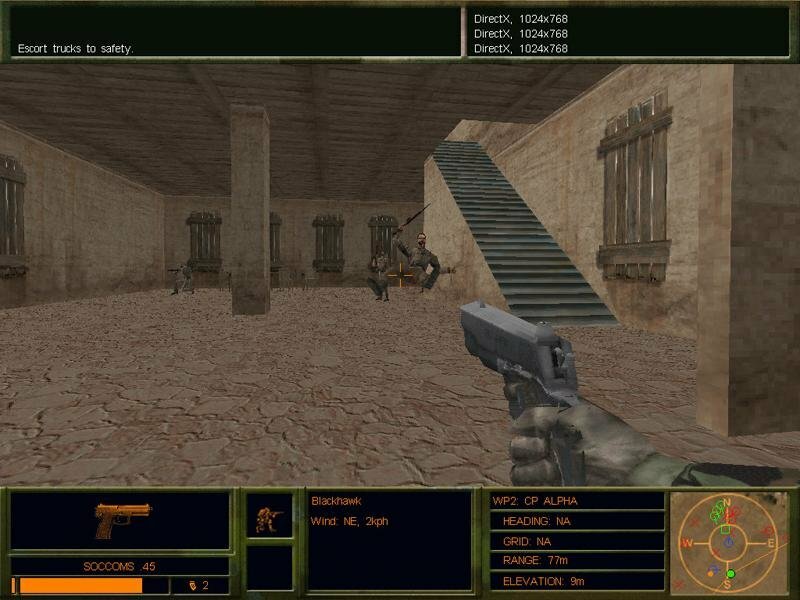 I used to play on the Novalogic servers with this game. Loads of sniper only servers. Was fantastic.